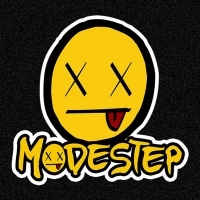 Nowadays, Modestep need little introduction. These dub rockers from London create a sound which would make your gran shudder with fear; they are truly one of a kind, setting the stage alight with every show. After having a hugely busy summer conquering festivals all across the globe, hype has been rapidly growing for their long awaited album, 'Evolution Theory', which will finally hit the shelves on 11th February. I was lucky enough to have a preview of the album and it is safe to say that, well, it tore me a new one. It felt like ‘Everything Everything’ blasted on to the scene in 2010 from nowhere with their album ‘Man Alive’. Radio 1 immediately lapped them up, which consequently had people all over the country wondering what exactly they were listening to. With a sound that compares to few other artists out there, Everything Everything have thrown discordant pop hooks, synth and distinctive falsetto vocals slap bang in people’s faces causing mass panic from the likes of Justin Bieber’s ‘Beleibers’ due to their alien sound. Rain and Small Children: The Recipe for a Perfect Festival?